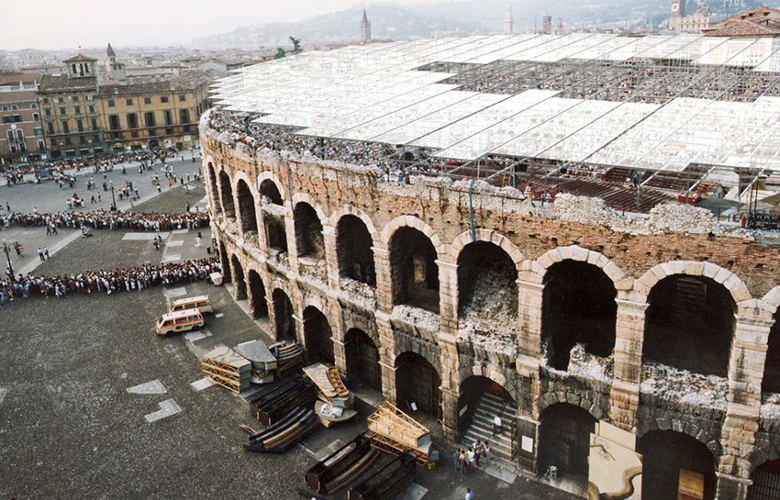 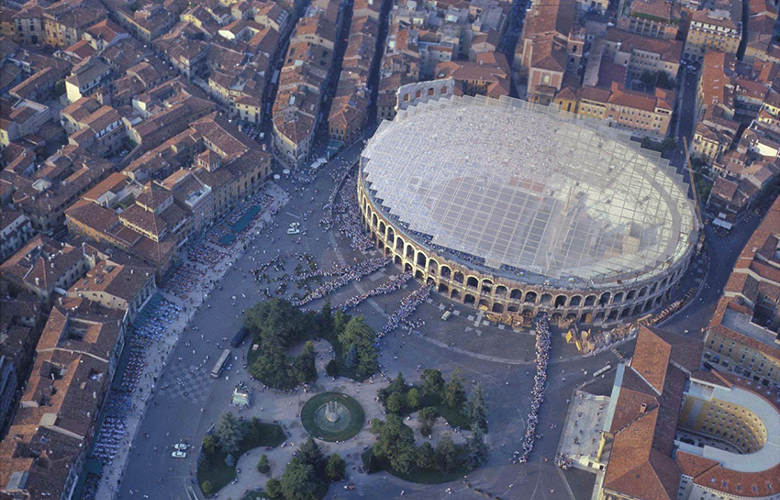 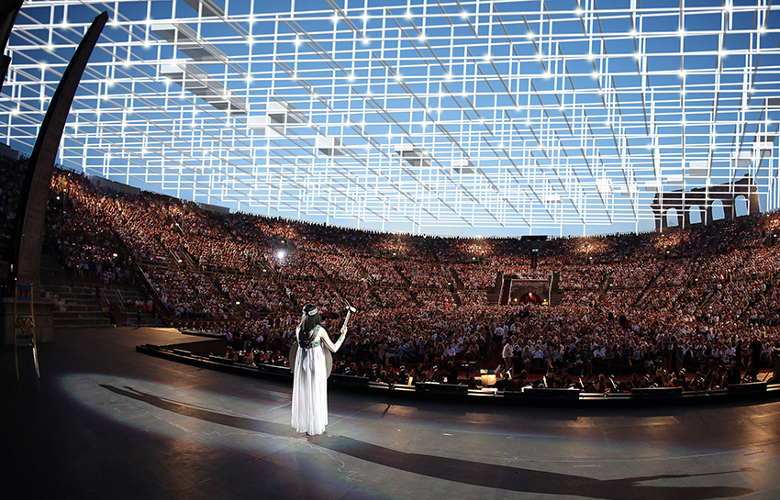 The project consist of the design and construction of a roof structure for the worldwide famous Verona Arena amphitheater. 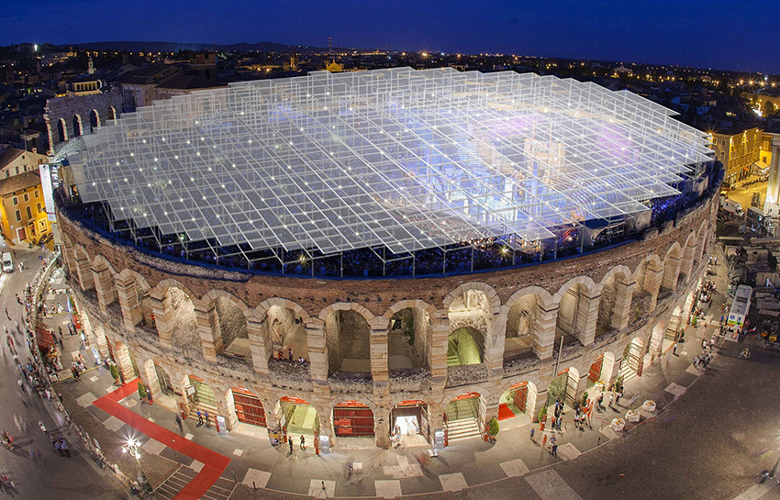 The roof is made of a tensile membrane structure that thanks to its features, allows a smart and captivating roofing solution. 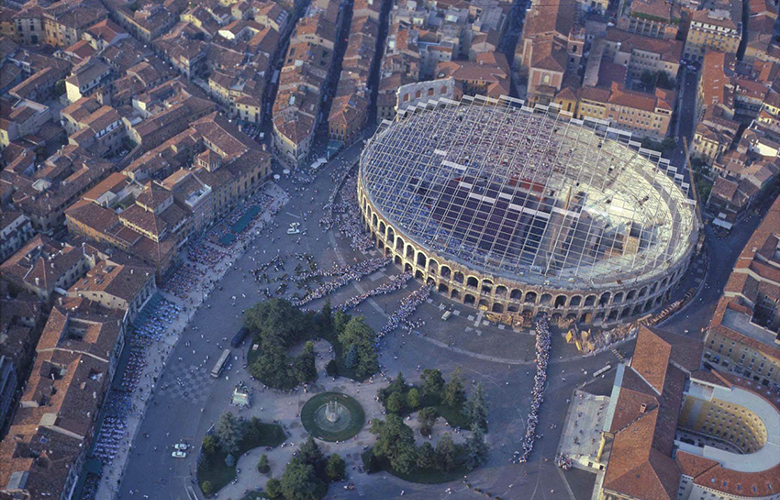 Every single aspect of the project has been thought thoroughly in order not to revolutionize the existing historical Arena. 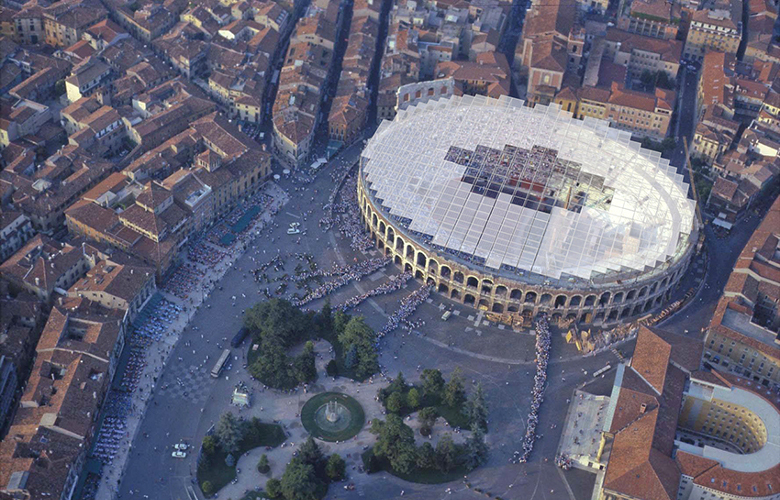 The building maintains its original features but at the same time, thanks to our intervention, it becomes more functional.